When does a passive decision become an action? How long does it take before your soul says ‘Enough’ to the voice inside which holds you back; confines you to your comfort zone despite the discomfort? Attending a ‘Coaching and the Brain’ master-class last year at the British Psychological Society, I was fortunate enough to hear Professor Patricia Riddell speak on this very question. A Chartered Psychologist, with an active research interest in neuroscience, she offered a great metaphor for the moment of decision when we switch from ‘Exploit’ to ‘Explore’. Pertinent to my opening questions, let me explain it here as a preface to my Boot Camp story. Within the cingulate cortex, neuroscientists believe they have identified part of the brain involved in controlling the point at which we choose to change our behaviour. Like a switch, we exploit the familiarity of our comfort zone until we feel the risk of exploring something new is outweighed by potentially greater rewards. The mechanism is complex; pure ‘exploiters’ or ‘explorers’ do not exist. Triggered by the activity of two types of neurons, the point at which we switch from one behaviour to the other and back again depends on the predominance of activity in one set of neurons over the other. The balance of this brain chemistry has several drivers and differs from person to person. Imagine an orchard of cherry trees, heavily laden with ripe fruit. They sit on one side of a fast flowing river. On the opposite bank is another cluster of trees with an apparent abundance of even more fruit. Some people will harvest every last cherry from the first orchard before contemplating a risky crossing of the river; others will perceive the reward of greater quantities of cherries to be a risk worth taking, and so be enticed to explore sooner. You may identify yourself as having a tendency towards exploring or exploiting; being more of a risk taker or playing it safe. On holiday, do you return to the same restaurant after the first night because the food and service were great or do you venture to another, in search of something better? At work, do you stay loyal to an organisation, even when your role gives you diminishing satisfaction or do you seek out new challenges elsewhere? There is no right or wrong answer. More, it is an awareness of how you behave that can provide a different perspective. In most situations, I am inclined to make to most of each opportunity before considering alternatives, until I find I am no longer moving forward. And so to my Boot Camp story and the question many people ask: Why?! To understand my ‘Why’ it helps to reflect on the past. BBC (Before Boot Camp) somewhere in my subconscious I knew a change was needed. Somewhere along the way I had let the stresses and strains of life overwhelm my routine. Somehow I had become sedentary and discontented again. Prior to having children this had been a familiar state. I’d never felt particularly fit or sporty and work had always seemed a higher priority than healthy living. Long hours and career ambition left me drained of energy most evenings; an addictive diet of TV soaps and convenience dinners contributing to the lethargy. Following the birth of my son, I discovered I suffered with an autoimmune thyroid condition, Graves Disease. The disorder, named after Dr Graves who discovered it, was serious but fortunately not as extreme as its unfortunate name suggests. The lump in my throat, or goitre, was biopsied and thankfully, after an anxious 4 week wait, determined to be benign. The drug treatment successfully brought the thyroid over-activity back into balance. All good, except I had regained all the baby weight I had so happily lost within 6 weeks of the birth. Something switched. I became an explorer. No longer prepared to allow my illness to be in control, I made a decision to change my habits, lose weight and get fit. By eating smaller portions of home cooked meals, cutting out confectionary and crisps, never eating past 8pm and going for brisk 2 mile walks three times a week, I lost 2 ½ stone in 3 months. I wasn’t on a diet, I had just changed my lifestyle. Buoyed by my success, I continued to explore new experiences. Feeling on top of the world I took on the challenge of a half marathon. I approached it with naivety; I had 6 months to train, how hard could it be? In reality it was tough going, but much to my surprise and to those close to me, I thoroughly enjoyed the training. Like many others before and since I became addicted. I became a runner. Over the next few years I went on to run another half marathon, numerous 5k, 10k and 8 mile races, all previously unimaginable for someone who hated athletics at school. I was one of those who’d say, “I don’t do running- it’s not for me.” Despite loving my hobby, I wasn’t quite crazy enough to take on the full marathon. You know, the one they say everyone has one of inside them. Instead, in my search for a new challenge after my daughter was born, I aspired to take part in a sprint triathlon. Following a period of inactivity, due to the recurrence of my thyroid imbalance and the subsequent drug treatment, I was determined to return to fitness. I found a brilliant swimming coach who taught me proper front crawl before I joined Tri-Force, a local triathlon club. I completed two sprint triathlons and continued weekly training with the club. I was back. Running, swimming and even taking a regular ballet class, my routine was bubbling along nicely. 8 weeks to Christmas and the Little Black Dress. Friday 31st October I applied; Monday 2nd November I started….. So was it madness or magic? Tackling a whole new set of alien exercises, such as burpees and renegade rows and discovering many muscles for the first time, session one made me ache in places I didn’t know I had places. For the first few weeks I focused on completing as many exercises as possible. Some were beyond my capability and the intensity of the interval training certainly took me out of my comfort zone. You may consider this the very definition of madness; to me the sense of achievement at the end of my three sessions each week convinced me, joining Boot Camp was the sanest decision I’d made in a long time. Well before week eight was upon me I noticed a transformation taking place. Sure I was toning up, losing inches here and there and feeling energised but these were almost secondary to the impact of sharing my Monday, Wednesday and Friday mornings with such a welcoming and supportive group. Led by Barrie, our trainer, we work together and turn out in all weathers, committed to improving our fitness. Many have chosen Boot Camp over the gym for the camaraderie; some are further along their fitness journeys, with inspiring tales of weight loss and races run. Newcomers join, tentatively stepping into the experience, wondering if it will work for them. We are all different and yet share lots in common. Now six months in, I can happily say I have never chosen to miss a session or ducked out at the last minute thinking ‘I can’t be bothered’. The sessions are little pockets of ‘me-time’ providing highlights of sanity to counter the craziness of a hectic life. Don’t get me wrong, it is hard work, but the rewards outweigh the effort. So what is the Boot Camp recipe? Take a bunch of like-minded, friendly people, add positivity, supportive coaching, an abundance of camaraderie and mix with fresh air. Throw in a good portion of interval training along with a fair amount of determination. Sweeten with fun and laughter. Repeat on a regular basis to achieve the desired result. Finish with the all-important stretches and as many of the calorie-free post exercise endorphins as you like. One day I went exploring. I rediscovered my self-esteem which had been skulking in a corner. I found fitness, friendships and fun. 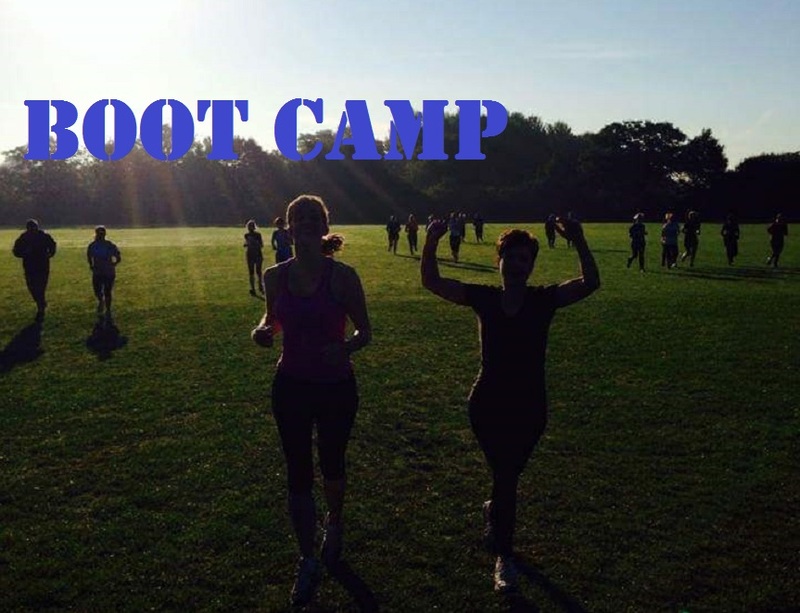 Is Boot Camp – Madness or Magic? In my humble opinion it’s Magic all the way.